Get to know renowned Italian automotive designer Alessadro Tartarini and his recent creation called the Velocifero MAD. 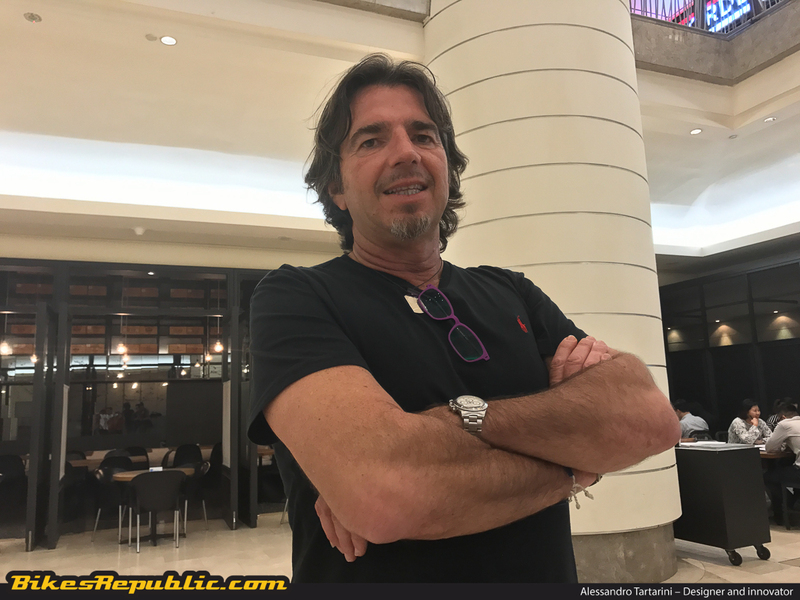 Earlier this week, BikesRepublic was granted with the chance to have a chat with renowned Italian automotive designer Alessandro Tartarini over a few cups of espresso. For many avid sports scooter fans of the 1990s and early 2000, the 50-year-old Bologna native’s name is a familiar one. Amongst some of his notable past creations were the Formula and Dragster sports scooters produced by Italian brand Italjet – a brand founded by his family. 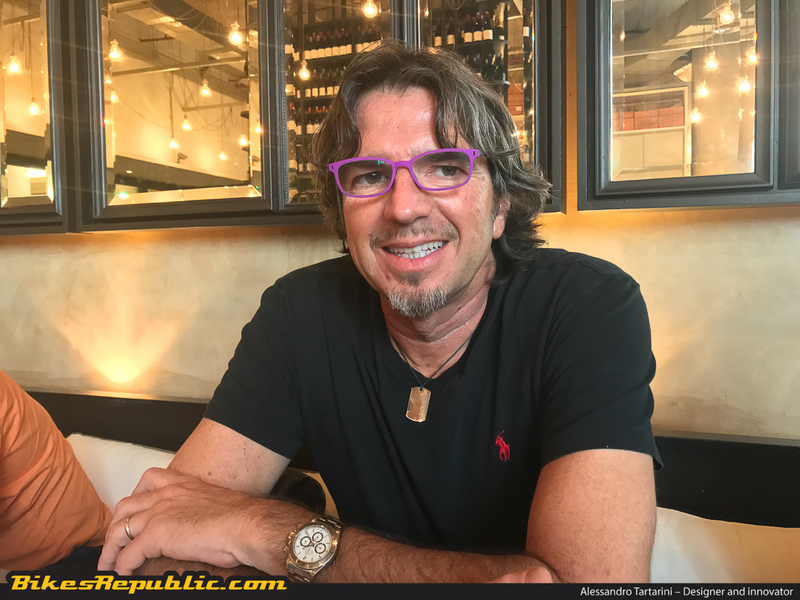 In recent years though, Alessandro Tartarini has shifted his focus towards designing and developing a different sort of product under the Velocifero brand. Here, Alessandro penned perhaps one of the coolest electric vehicles we’ve seen in recent times, and it’s called the Velocifero MAD. 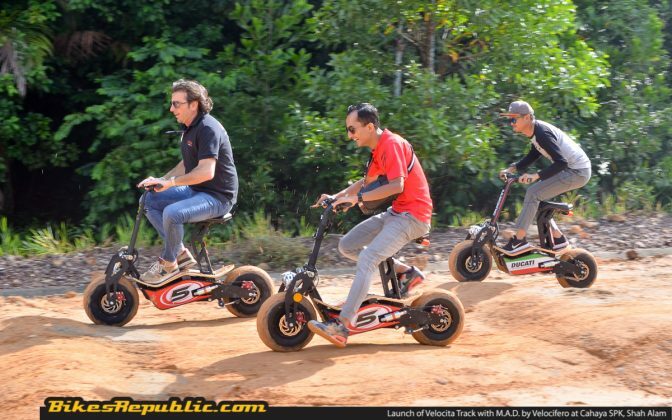 Yes, the very same guy that penned the sporty Italjet scooters of a recent past also designed and developed the manic and eco-friendly off-road electric scooters that we saw racing about last weekend in the newly launched Velocita Park, Shah Alam. What gave you the idea to design the Velocifero MAD? First of all, I believe in electric mobility, and they seem to be the future. 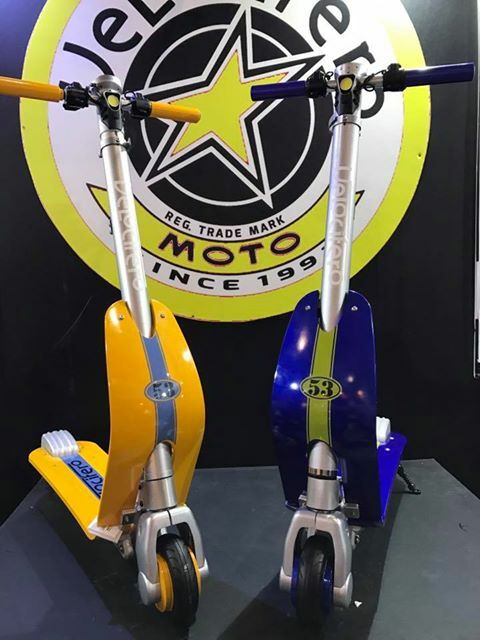 Now, with the current wave of electric scooters, their designs are closely linked with regular gasoline-powered scooters. I don’t believe it should be so. 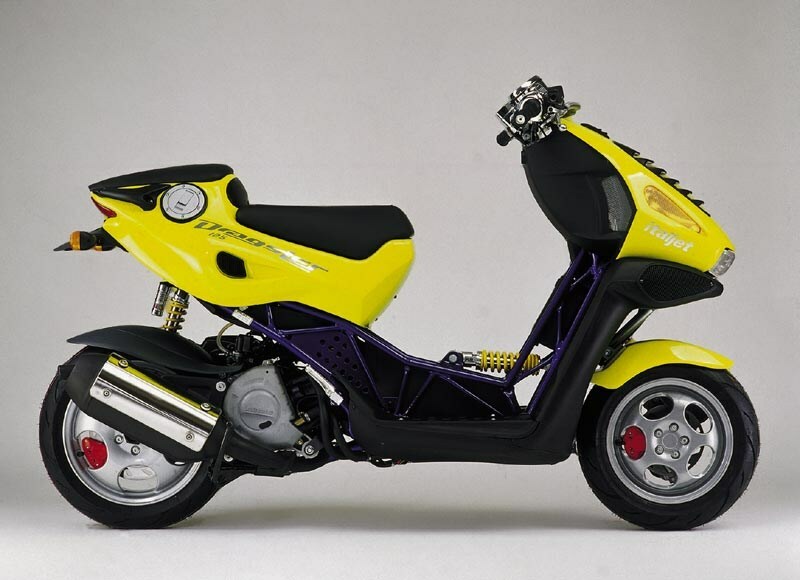 With the Velocifero, I wanted a vehicle that looked affordable with a good design, but also one that was different from a traditional gasoline-powered scooter. Design-wise, how does the Velocifero MAD differ from other electric scooters? We’ll start with the wheels, and the Velocifero MAD has got big, fat off-road-styled ones. On top of that, we mixed both steel and wood, which is a very good combination for design. And I believe with wood, it adds soul into the product. That also allows you to customise it as you like. I got this idea from the lifestyles of young skateboarders and surfers. Additionally, all the MAD modelsare foldable too. What were the engineering challenges you faced with the Velocifero MAD’s design? I think you should ask my engineer that! Haha. His usual complaint to me is why do I have to design things that are so complicated. Sometimes he says it’s almost impossible to work with me! How heavy does the Velocifero MAD’s frame weigh? Well, without the battery, it weigh in at less than 40kg. With batteries, it depends on which unit you use so it varies. The battery only adds about 4.5kg. Currently, who are your battery partners? For the lead-acid types, we employ a Chinese firm called Chi Wee as a partner. As for the lithium-ion types, we usually source from either LG or Samsung. There are some unique design features here like the suspension. Can you tell us why this is so? Well, I designed the Velocifero MAD to have twin side-mounted rear shocks and this is rather similar to what you see in downhill mountain bikes. With the front, there’s an equally durable cantilever design, and both makes the Velocifero MAD off-road go off-road easily. 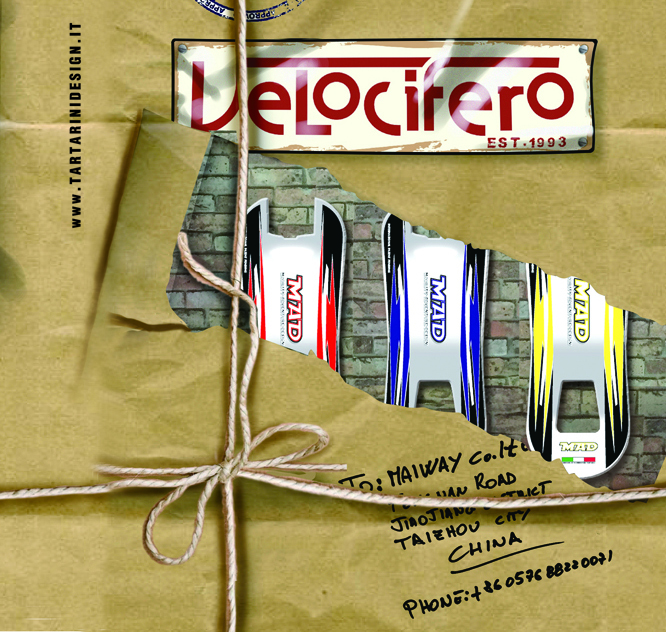 Presently, does the Velocifero MAD meet with any safety or homologation standard? Sure. We have two kinds, one is EEC homologation that lets you ride on the road, and the other one is CE certification for off-road use. The Velocifero MAD has either, and technically it is almost road legal. Batteries react differently according to temperature and weather. 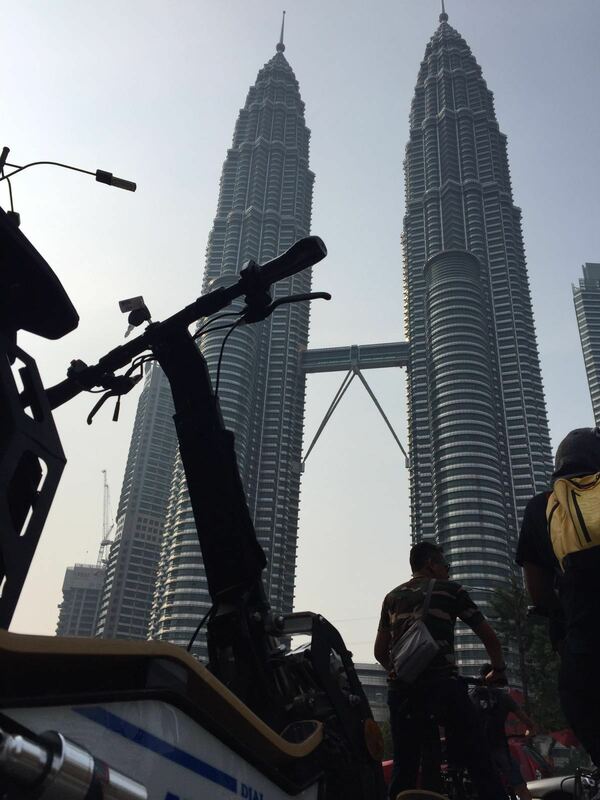 How does the batteries in the Velocifero MAD stack up with the Malaysian climate? Actually, Malaysia has one of the best climate conditions for the battery. For example, in Finland where the weather is very cold, the batteries actually have a shorter life in fact. 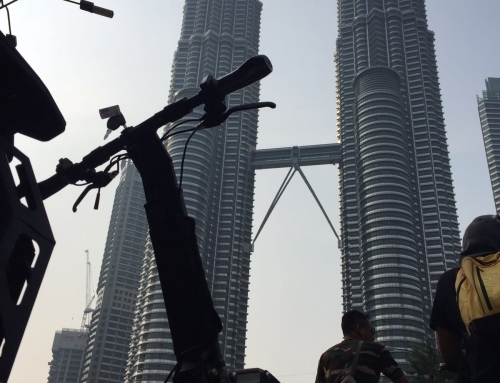 Also, we’ve designed an air-cooling system to keep the batteries cool in climates such as Malaysia. Presently, the Velocifero MAD range appears to be a strict single-seater. Is there a pillion seat option in the range of accessories available? We are developing a different range for this demand. But for now, you can carry perhaps small children standing in front, and this is also depending on which variant and wattage rating you choose. How is the market reception for the Velocifero MAD so far? Well, when I designed it, it was meant to enter a niche market. But now, things have changed where the market for the Velocifero MAD has grown. Now, we are producing 1,500 units monthly. Some of our biggest markets in Europe include Italy, the UK, France, Spain and Germany. In Asia, we’re selling well too especially in Malaysia. We also just started in the Philippines, South Korea, Thailand as well as certain parts in China. What are you expecting from the Malaysian market? Now, we’re using the market here as a reference to develop other aspects like how to market and promote the product elsewhere in the region. For now, I am very satisfied with the way Cervello Tres are running things here as the distributors. Talk about development, do you have a technical partner of sorts for this? We have our own technical development team in Italy and very soon we’ll have one more in China. The product however is produced in Taizhou, China. What do you have to say about the common perception regarding quality with products made in China? China is changing. A lot of people around the world think that Chinese products are not good in nature. But actually, quality is a choice of companies and not the place where you produce. Our technical team in Italy ensures product quality by carefully choosing the right partners and suppliers. 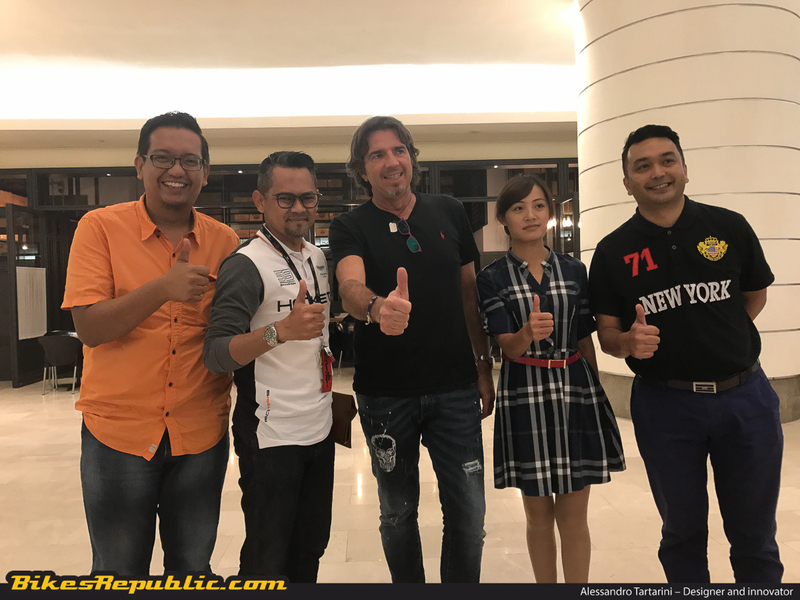 Presently, the Velocifero MAD electric off-road scooter designed by Alessandro Tartarini are distributed in Malaysia exclusively by Cervello Tres. 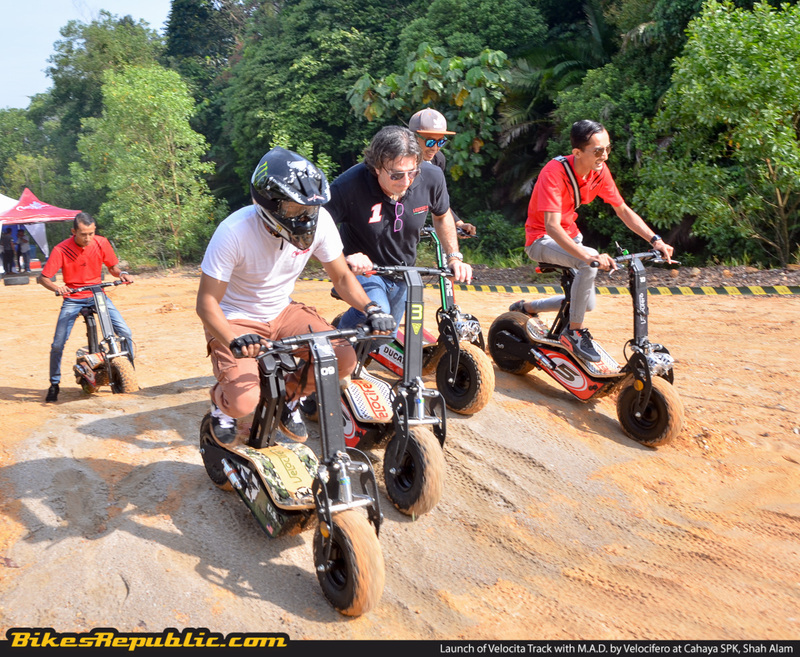 Currently, Cervello Tres distributes four variants of the Velocifero MAD with prices ranging between RM3,890 to RM6,500. Besides offering a wide range of accessories, Cervello Tres also offers the Velocifero MAD with a one-year warranty for the engine and a six months warranty for the battery. 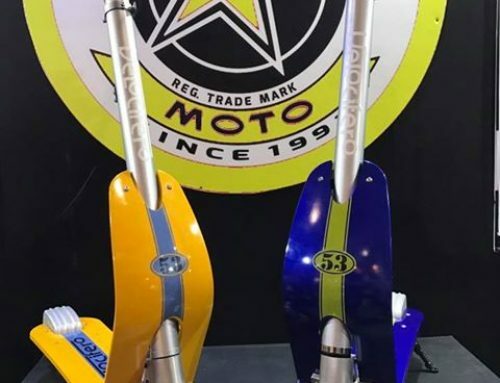 You can find out more about the local firm and the current range of Velocifero MAD scooters it current offers by visiting its official site, cervellotres.com.